In what way can I make the payment Are there ATMs? We honor all major credit cards including MasterCard and Visa. You can make the payment by Travelers' Cheque also. However, we advise you to have some cash your currency in your hand. Yes, there are numbers of ATMs in Kathmandu . The main tourist area has an easy access to ATMs run by different internationally collaborated banks. They accept all major credit cards including MasterCard and Visa. Please note that cash is dispensed in local currency only. Can I pay in dollars/euros in the mountains? 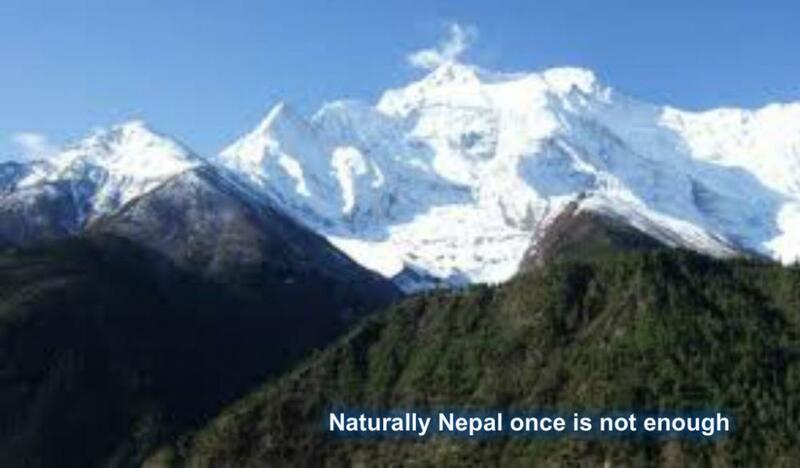 Nepal is a poorest country and there are not develop in the mountain lack of that you can't pay your currency in mountain. You need to have local currency for your personal expenses during your traveling period. Do people in Nepal understand English? Is there anything that I need to be aware of about local customs and culture? Culture and customs in Nepal run very deeply. Some of them you will find interesting, some strange and others beyond logic. However, as long as you show respect and sensitivity to local traditions, willingness to learn and adapt to Nepalese ways and values, you will be fine. For a people so deeply rooted in traditions and culture, Nepalese are remarkably open-minded and easy-going. If at any time, you have doubts, ask or simply do what other Nepalese do. Men should not walk/trek around bare-chested. Shorts are acceptable, but long pants are better. Women are recommended to wear long skirts. Exposure of women's legs can bring unnecessary, so avoid wearing shorts and short skirts. We would like to suggest you that don't use only sun and beach wear which can display publicly. Malaria has been eradicated totally from Chitwan but if you will be chitwan it is better to take some cream against mosquito. It can disturb some time during sleeping. Do I need immunization before I reach Nepal ? Yes, we advise you to get immunized in your country before you leave. Is there any tax applicable in airports in Nepal ? Yes, there is. During your departure to domestic cities, a tax of NRS 170/person (US$2.4), for SAARC Nation people NRS 1335/person (US$18.75) and to the rest of the countries NRS 1665/person (US$23.39) is to be paid. When should I give a tip in Nepal ? Tipping is common and in most cases expected in Kathmandu . In top range hotels and restaurants a good guideline is to tip around 10%. In smaller places some small change is fine. Taxi drivers don't expect to be tipped. Bargaining is common place in many but not all cases and should be an enjoyable part of the transaction. Try to find out a fair price and remember the cost to you of a few rupees may be much less than the value to a local person. Standard food, accommodation and entry charges should be respected as well as following the going local rates for services. Is it safe to travel by road in Nepal ? It is. The main tourist centers like Pokhara, Chitwan and Lumbini are connection by good roads and all main routes are well serviced by tourist buses. However, roads to other towns for example Jiri and Dhunche are steep and narrow and only local buses are available. We advise you to hire a private jeep (4WD) to travel these roads safely. Typically tourist buses are driven with more care than local buses. It is safe to travel in Nepal with Maoist and other activities. What is the current situation? We don't deny there are problems with Maoist activities in certain areas of Nepal . However, activities are not targeted at tourists and we do not enter into areas known to be affected by Maoist activities. We regularly keep up to date with the situation on a day by day basis. The safety and confidence of our clients is extremely important to us and we will not recommend or organize any activity where safety may be an issue. We do recommend you check with your embassy for the latest travel advice. Whilst we cannot make a decision for you we are happy to speak with you via phone, fax, email or in person to deal with any of your questions or concerns about this or any other area prior to you making any travel arrangements. 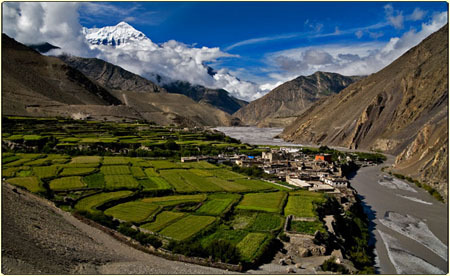 How about Travel Insurance in Nepal ? Yes you can do your insurance in Nepal . But we strongly advise you to buy your insurance in your home country before you leave. Insurance cover incorporating helicopter evacuation is a must! Can I hire mountain equipment in Nepal ? Yes, you can. 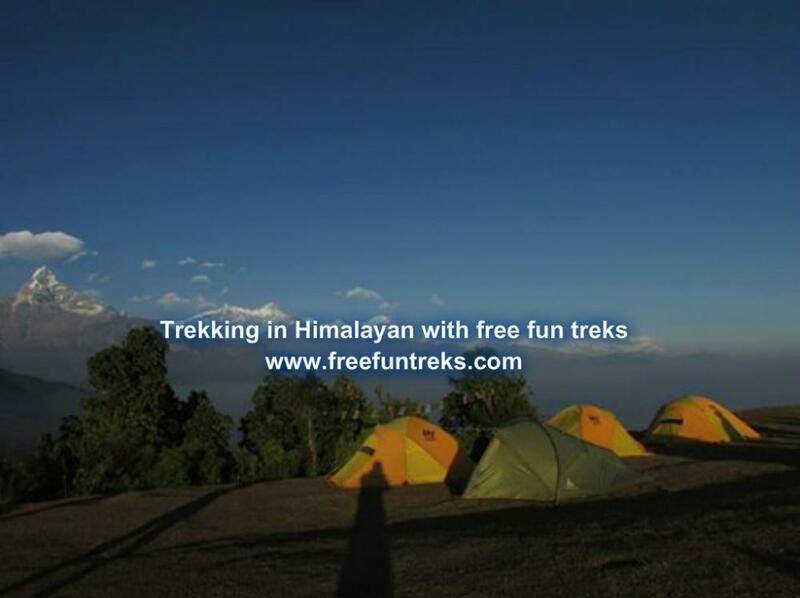 All kinds of equipment are available for hire in Kathmandu . Even you can buy cheap price then in your home town. Do I need to organize visa for Nepal before I leave home? All foreigners (except Indian nationals) require a visa to enter Nepal . There is usually no problem with getting a visa issued by Nepali embassies and consulates overseas. If you prefer you can also get a visa when you arrive in Nepal at Tribhuvan airport in Kathmandu or at the road borders of Biratnagar, Birganj/Raxaul Bazaar, Sunauli, Kakarbhitta, Mahendranagar, Dhangadhi or the Kodari checkpoint on the road to Tibet . Visas are valid for entry for 3-6 months from date of issue. Children fewer than 10 require a visa but are not charged a visa fee. Your passport must be valid for at least 6 months. To obtain a visa on arrival at the airport you need to complete an application form and provide a passport photograph (which it is also possible to get whilst you wait in the queue to be processed). A single entry visa valid for 60 days costs US$30. Will you reconfirm my return flight? Yes. We reconfirm return flights free of cost and you can do it from all the Travel agency. Are there reliable Internet Cafes available in Kathmandu ? There are now lots of internet cafes offering good service at good rates particularly in Kathmandu and Pokhara. Outside these areas and where available, connections can be slow and relatively expensive. The telephone system is good and it's easy to make local, national STD and international calls as well as reverse charge (collect) calls to the UK , USA , Canada and Japan . There are also many private call centers offering cheap calls. The international country code for Nepal is 977. For outgoing international calls from Nepal the access number is 00 then the country code then the number. There is a choice of Western and Asian food dishes or a mixture of both in all the destinations we visit. During a trek you can expect 3 full meals a day as well as regular tea and coffee breaks, on both our fully provisioned camping style treks and our teahouse style treks, where food is freshly prepared daily. During our teahouse treks, we offer a selection of teahouses, all run to a high standard by local people familiar with catering to varying tastes and requirements. You will be able to sample a wide range of dishes, all hygienically and professionally prepared to a high standard. We are also familiar with providing interesting vegetarian meals and are able to adjust dishes to meet your requirements, for example making Asian dishes less spicy for children. In the centres we visit, for example in Kathmandu , you will be able to choose between a wide range of restaurants, cafes and bars, offering both simple and sophisticated dishes to meet your tastes. If you are carrying valuables; cameras, gifts or large amounts of money, we advise you to return to your hotel by early evening to deposit them, before going out for late meals and drinks. But being aware of your surroundings and the people around you is always a must - Just be Streetwise! 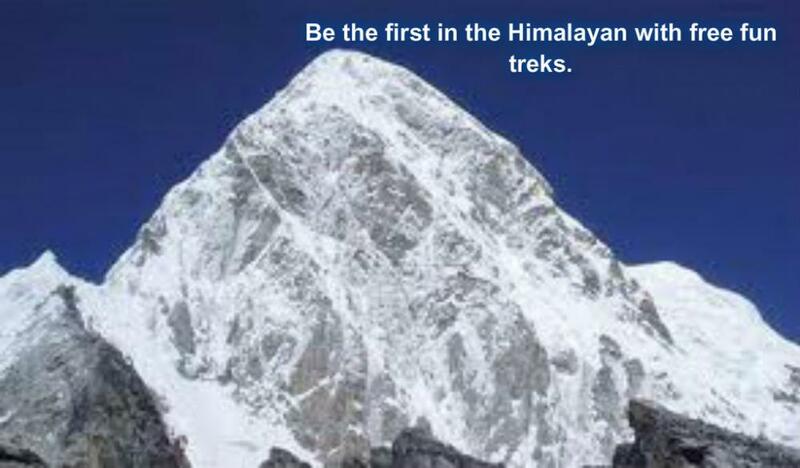 What is Trekking, climbing and peak climbing? Climbing a trekking peak is not the same as trekking. 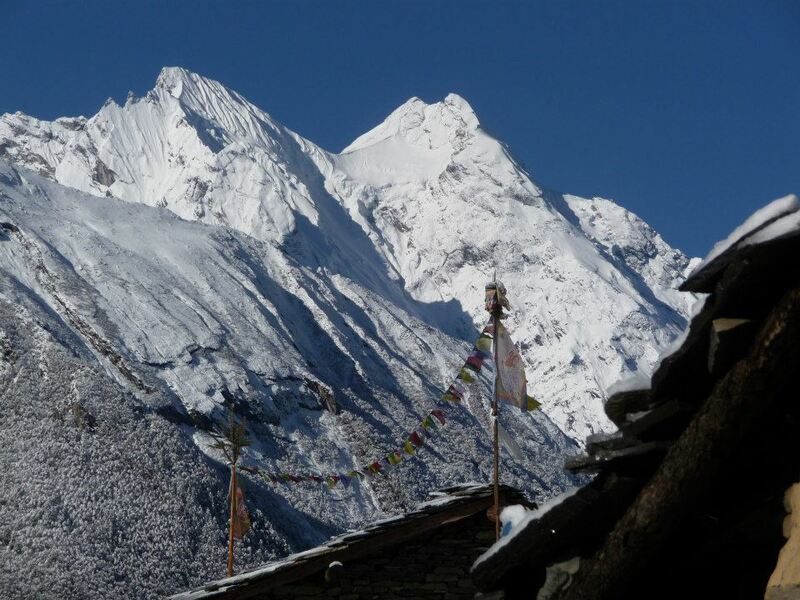 The Nepal Mountaineering Association issues permission for small-scale climbing on 18 peaks. 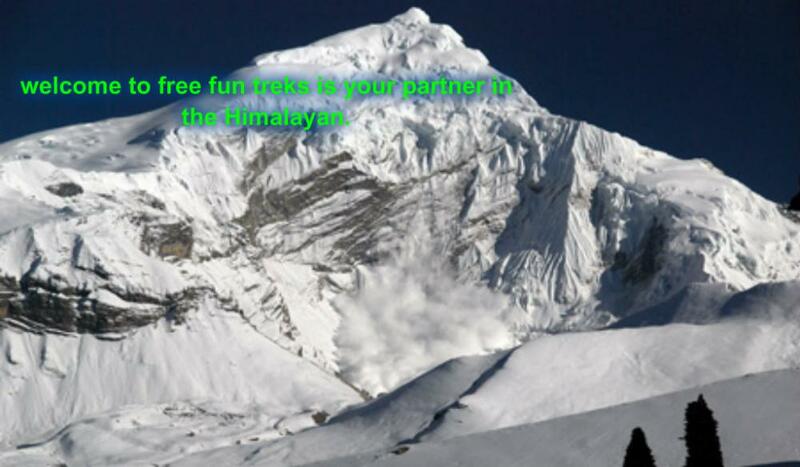 Those who would like to climb these trekking peaks must obtain a permit. Permits are valid for one month for a group of ten climbers. If the group exceeds ten climbers an extra fee is payable. 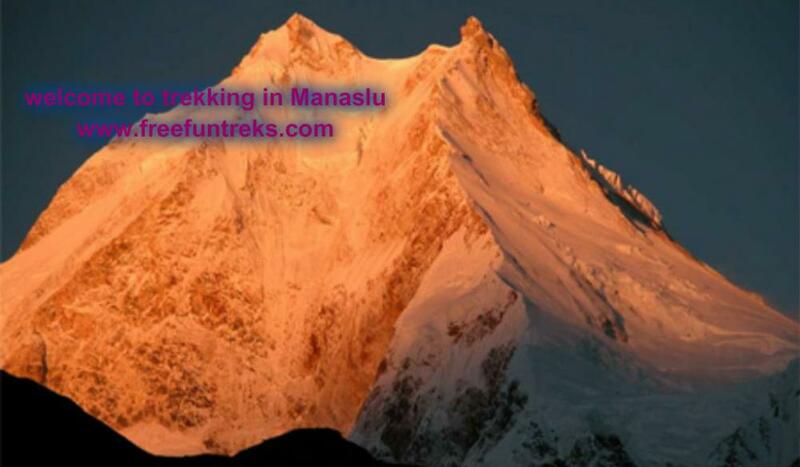 Few of the trekking peaks are ‘walking up' and some peaks can be technically demanding and dangerous. Even ‘small' peaks are much higher than any mountain in North America . 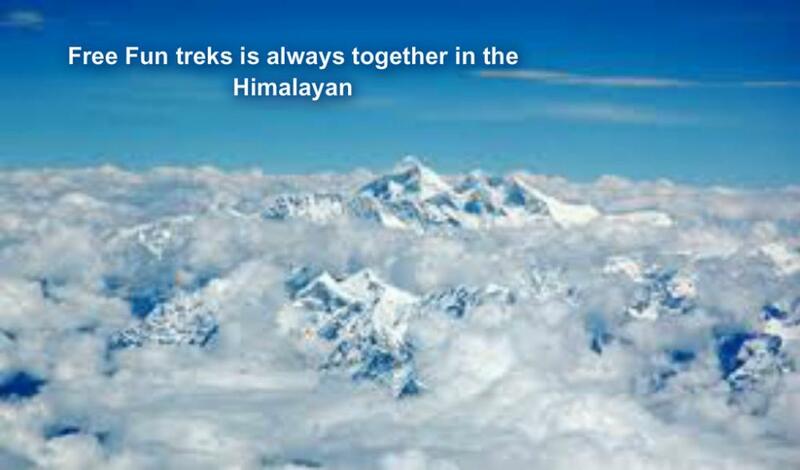 Most of the trekking peaks require a minimum of four days and it can take as much as three weeks for an ascent. A climbing permit does not replace a trekking permit, so you need both if you are planning to climb a trekking peak. 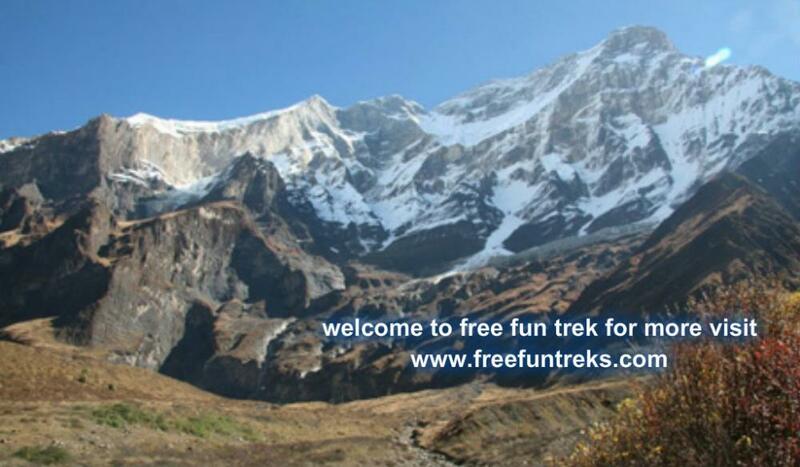 Peaks that can be climbed under the trekking peak regulations are in the following regions: Everest region, Rolwaling, Manang region, Langtang region, Annapurna region, Ganesh Himal. In commemoration of the Mount Everest Golden Jubilee Celebration held in 2003, the government has also opened an additional 50 trekking peaks, making the total number of peaks 326.For a full list of these trekking peaks, please contact us. Many o f the new peaks have also had the royalty payment waiv ed for 3 years. Do I get chance to be become volunteer if I do have some rest days? Yes you can. 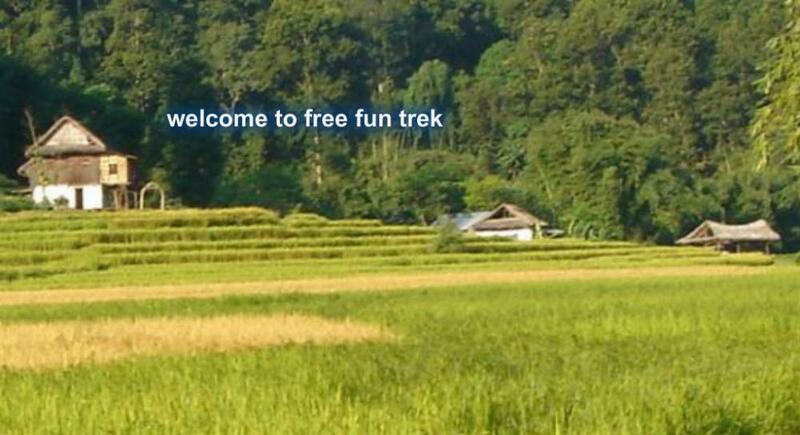 On your interest we offer volunteer work through our Trekking agency. 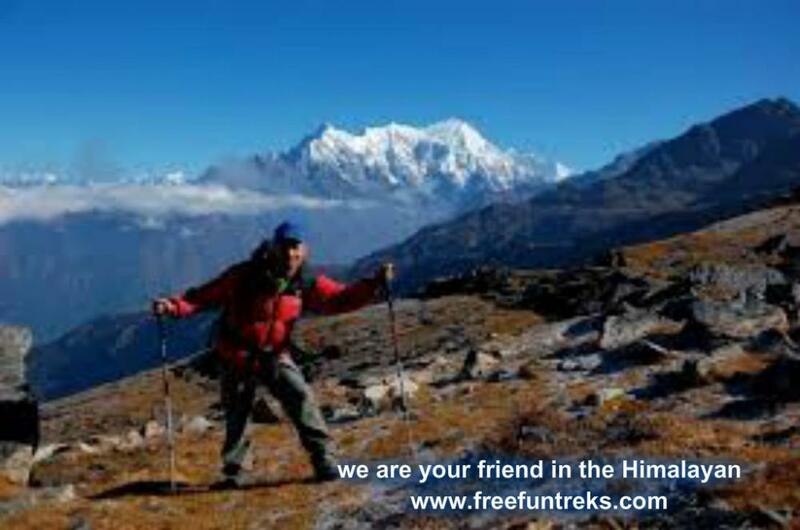 Our trekking agency especially for make orphanage independent it self from Nepal . From our profit we deposit 30% to the orphanage. Please ask us your more question about being volunteer.